Model aviators, no less than full scale aircraft aviators and professional seamen, are subject to the moods of the weather. And so it was this March as Winter and Spring took turns on the daily stage. Fortunately, Saturday, April 7_th, contrary to an ominous forcast, appeared without any snow or rain, but with very cold winds. 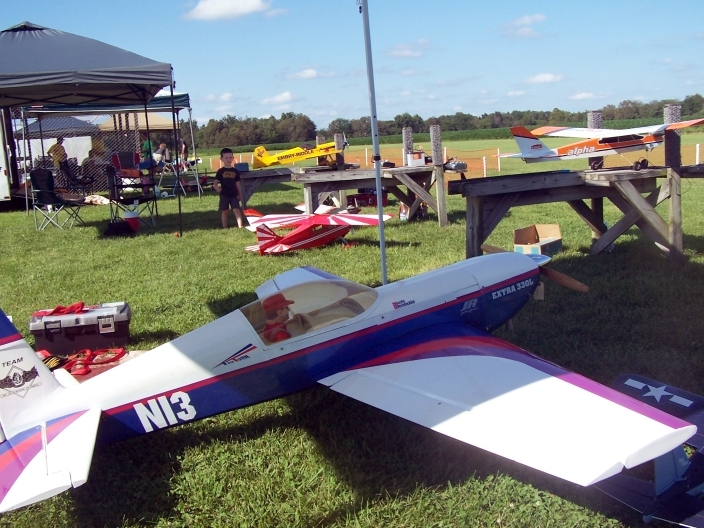 Nevertheless, the eager workers of the Sky Squires RC Club, aided by the stalwarts of regional clubs, went to work bright and early and by 9 o'clock Showtime had set up all the tables and chairs, the three simulators, and several dozen beautiful models. As the day wore on, however, it became apparent that the chilly day was keeping shoppers home. 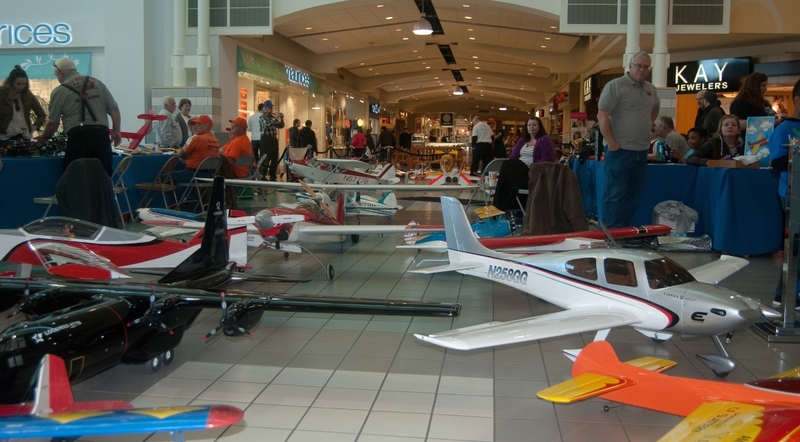 The Greeks and Romans and virtually every other ancient people must have been model airplane builders. They didn't have only one name for one god of weather, but take wind for instance, they had many! Many gods, many names! And they all showed up on Saturday, August 27 when, after two weeklong weather delays, they came to our Fly-in and brought their weather playmates with them, especially rain, fog, and low temperatures. But did our intrepid leader band and knuckle under? Did they fold their tents and silently steal away? Not on your tintype! Bah! Humbug! Let's fly! they cried as one man. 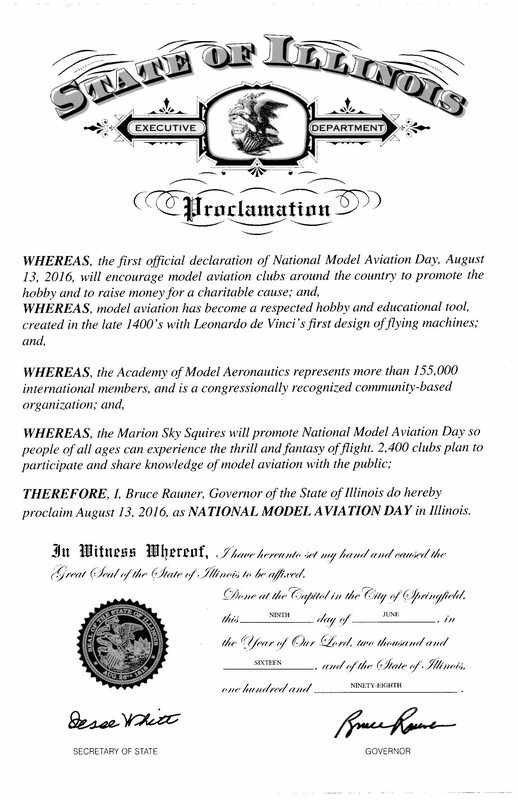 They had a serious purpose, one they would not yield lightly: To raise funds for the local DAV in keeping with the AMA sponsored National Model Aviation Day. So, it was, "Pilots, man your airplanes!" And away they flew! 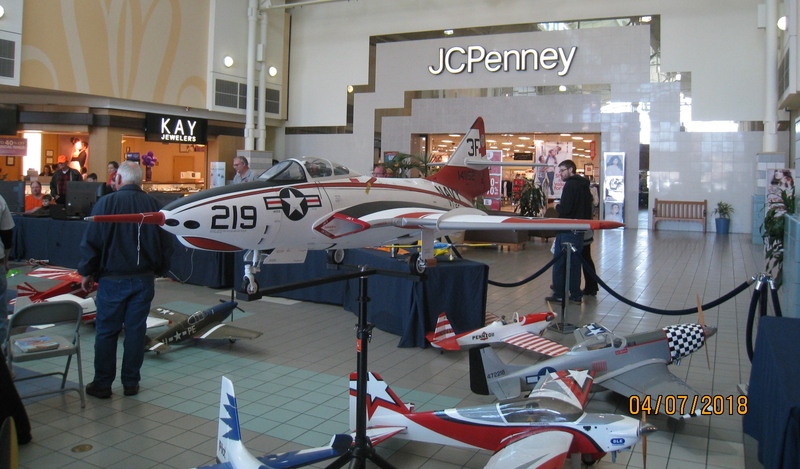 There are a few club members with long memories who will remember the last time we held our show at the University Mall in Carbondale, but whenever it was, it was before I was admitted to the honorable ranks of the Sky Squires in 1998.